Putting a roof over your head is often costly, but a necessity. Making repairs comes along with owning a home. Roof repair, restoration and roof recovering fall into the reroofing category. 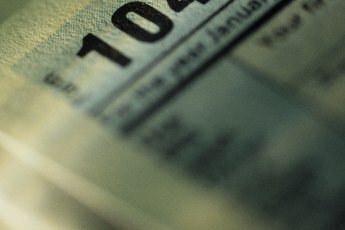 At the time of publication, the Internal Revenue Service does not offer any tax credits to help offset reroofing costs. Under certain circumstances, however, you may be entitled to a deduction. The lifespan of your roof depending on several factors. The type of material used will affect the how long your roof lasts. 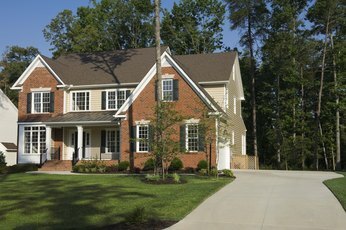 Asphalt shingled roofs typically last 18 to 30 years. Some types of shingles are guaranteed to last longer than others. Slate, tile or clay roofs last 50 years or more when installed properly. 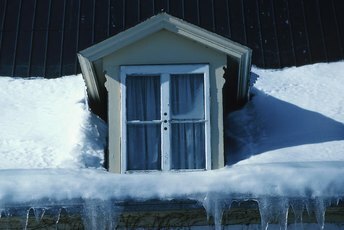 Regardless of how long a roof can last, environmental factors can significantly shorten the life expectancy. According to the IRS, replacing an entire roof is a home improvement. Home improvements are generally not tax deductible expenses. Although you may not be entitled to a tax credit, replacing a roof is a capital gains improvement. 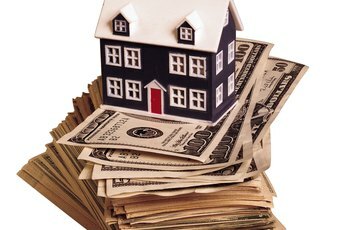 If you decide to sell your home in the future, the cost of the roof is applied to your cost basis to reduce the capital gain amount. When a roof sustains damage from a major disaster, such fires, hurricanes and tornadoes, you may need to replace the entire roof. The IRS allows you to deduct loss resulting from a casualty. You can deduct the loss of value on your tax return. The value is often equal to the cost of replacing the roof. If you are reimbursed for the loss by your insurance company, you must deduct that amount from your loss. If you take out a home equity loan or home equity line of credit to pay for the cost of replacing your roof or making additional home improvements, you are able to deduct the interest from your taxes. At the end of the year, a 1098 form is mailed to you listing the amount of interest you paid on the loan. Interest paid on a personal loan is not tax deductible. How Much Is the Percentage of Labor in a Roof Job?